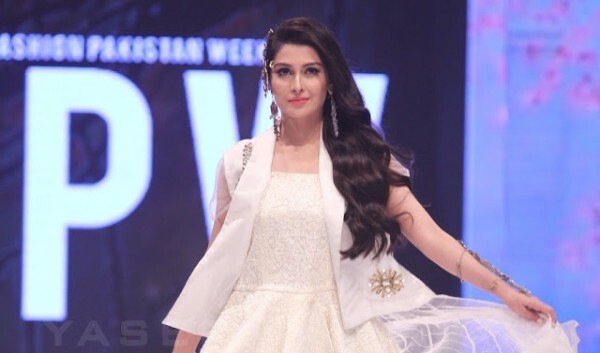 Recently, Ayeza Khan was spotted walking down the ramp for Lala Textiles Collection at Fashion Pakistan Week 2016. 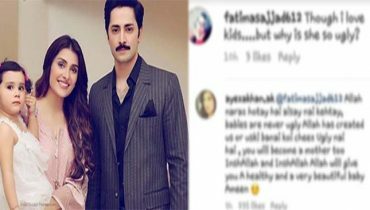 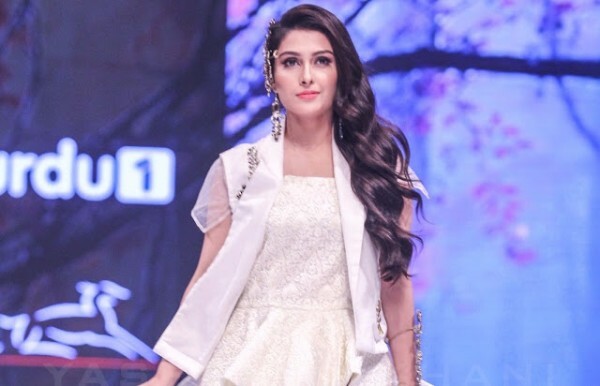 Many top models were spotted at FPW2016 but what really caught everyone’s attention was when the showstopper Ayeza Khan stepped onto the runway. 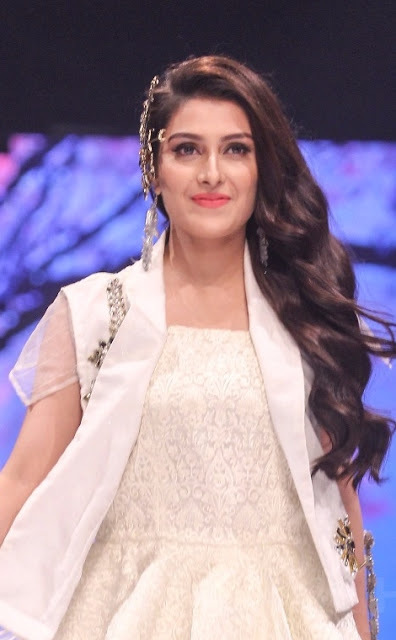 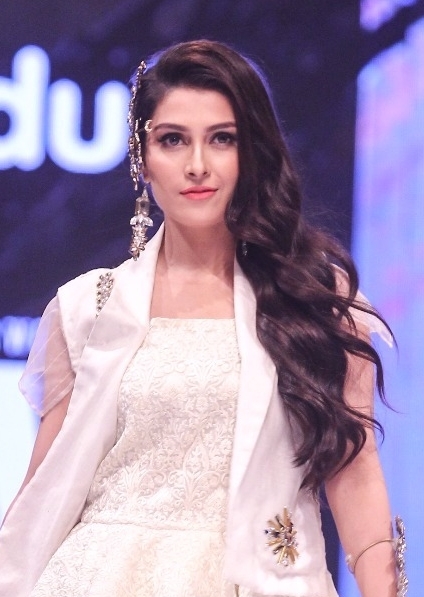 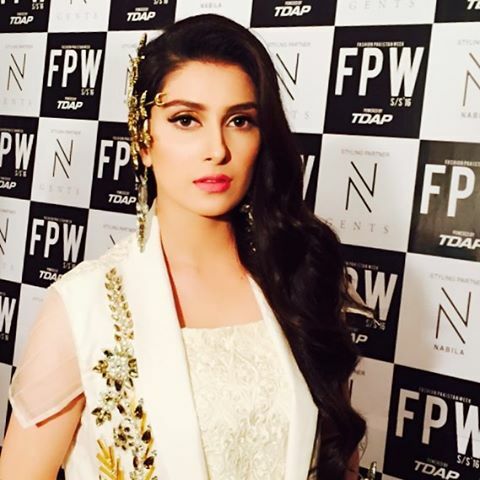 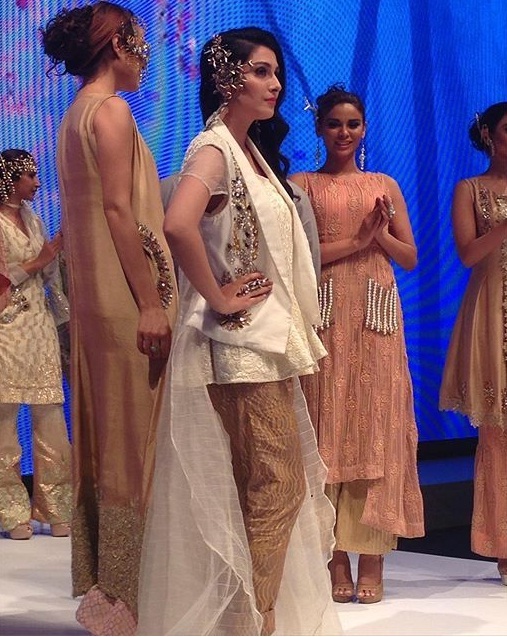 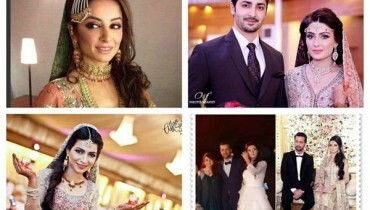 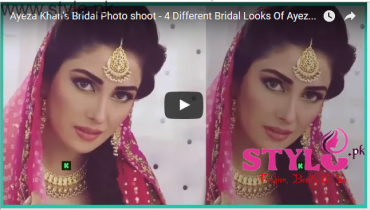 Ayeza Khan, who was seen in white and golden outfit with a perfect makeup and hairstyle, owned the ramp. 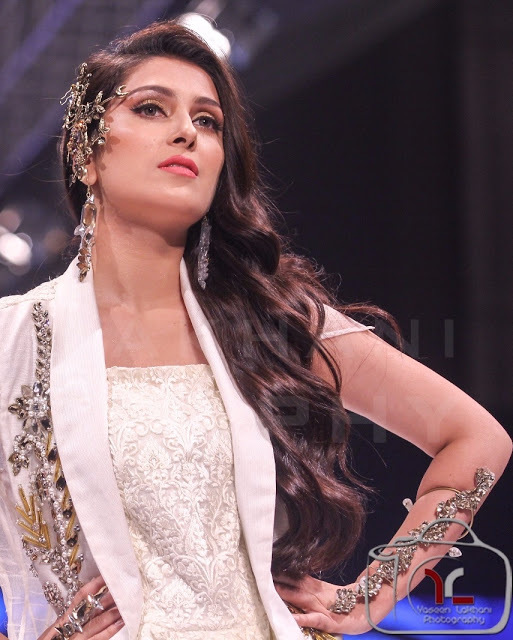 Here we are going to share the pictures of Ayeza Khan at FPW16.